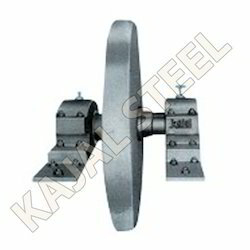 We manufacturer and export Flywheels and similar other products in cast iron and alloy steel. The Fly Wheels manufactured by us is made of high quality material. These are machined on VTLs for highest precision & inspected as per specification to meet customer satisfactions. 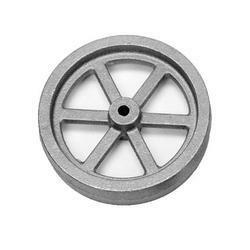 We are a renowned organisation in the industry to provide our patrons with the best quality range of CI Flywheel Pulley. Backed with rich industrial experience, we are engaged in offering supreme quality Fly Wheel. Under the guidance of our dexterous technocrats, the offered wheel is manufactured using supreme quality raw material and contemporary technology. This wheel is highly demanded in the market for its easy installation and sturdiness.